Synopsis – In the second novel in bestselling author Caisey Quinn’s Neon Dreams series, a country rock band and its members embark on the rocky road to fame and find love along the way. 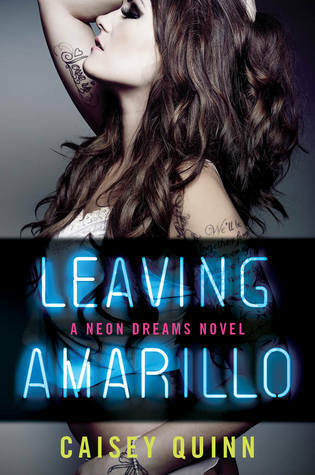 Loving Dallas is the second book in the Neon Dreams series and begins right where Leaving Amarillo left off. It is Robyn Breeland and Dallas Walker Lark’s story, a couple who have a history and a strong connection and are both embarking on a journey of self-discovery and acceptance. Dallas is now in Nashville after signing with Mandy Lantram and is the opening act for big name Jase Wade, times could be tough on him – he is without his band-mates and he has now come face to face with his high school sweetheart Robyn and old sparks reignite. We are given small snippets of their shared past in the first book but it was only touched on so I was more than eager to see them reconnect and to find out why they had drifted apart. I enjoyed both of our MC’s, Dallas was a bit of a mystery in the first book but he was driven and determined which we also see in Loving Dallas. 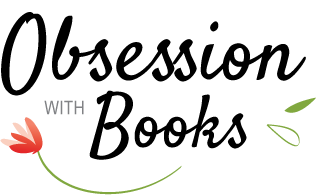 Robyn was a strong-willed sweetheart; she is a marketing executive for the sponsor of the tour and is also motivated to achieve her goals. The chemistry between them was off the charts and the smexy moments were written well. Second chance romance is one of my favourite storylines, and this was done well but it also came with the miscommunication and angst which at times did become frustrating, resolving their issues wasn’t without drama. The writing is entertaining, I felt Casey Quinn wrote the musical references and band details well, I found these parts to be interesting; the struggles they faced felt quite genuine. Some of the dialogue came across as a little cheesy at times but I was able to overlook this to enjoy the overall story. What I enjoyed about the first book was the band dynamic but it was missing in Loving Dallas, Gavin and Dyxie were noticeably absent but we do have their book up next which I’m really excited about. 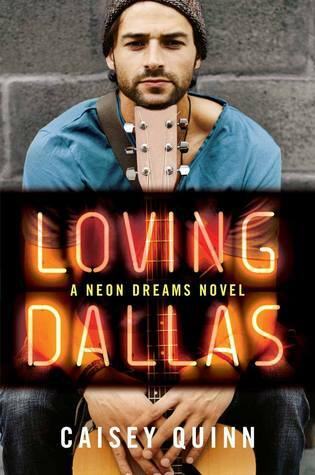 Thank you to William Morrow via Edelweiss for the opportunity to read and review Loving Dallas. I love hearing from readers and other writers, and those freaky hybrids like myself! You can email me at caiseyquinn @ gmail (dot) com or follow me on Twitter @CaiseyQuinn. You can find me on Facebookhttps://www.facebook.com/AuthorCaisey.. This series is new to me It sounds pretty good. Too bad the band dynamic was missing. Great review. I love second chance romances, but I struggle with the rockstar types. The miscommunication and angst would drive me up the wall however. Glad you were still able to enjoy this, Sharon! Thanks Nick! I am not a fan of rockstar storylines too but this one was done quite well and I enjoyed it despite the drama and angst.